Social Targeting Ads® are one of the best ways to target potential consumer audiences. 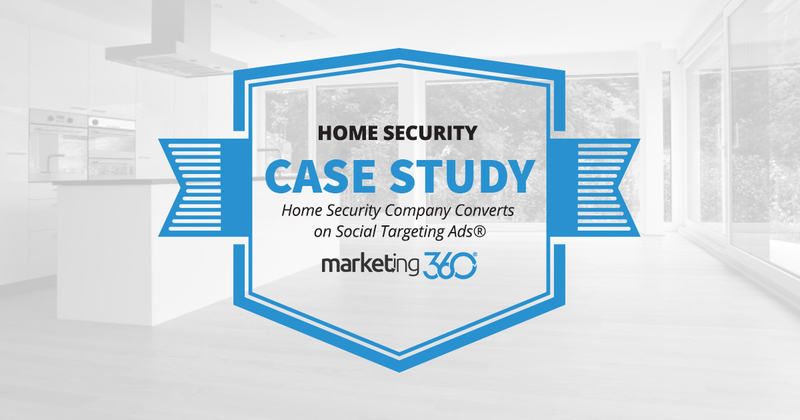 This Marketing 360® security company client shows the potential of this tactic. One of the main challenges new businesses go through is simply making the people who need your service aware that you offer it. If they don’t know you’re an option, they’re not going to be working with you. This problem is extra difficult to overcome when you offer a service that people are less familiar with. For instance, if you’re a locksmith and someone gets locked out of their house, they’ll search for locksmiths. They know what they need. But if you offer home security systems with interactive security, video monitoring, and energy management, the people who might be interested in buying these services don’t yet know they need you. So, you need a proactive marketing tactic that gets in front of them so they can discover you and learn how you’ll help them. That’s the goal of Social Targeting Ads®. Here’s how it works for them. Facebook is the best starting point for STA. We started by targeting homeowners in the service region who owned homes of certain value, with a concentration on people who own vacation homes. The key here is the call to action. Learn more. That’s what this audience needs to do at this point. 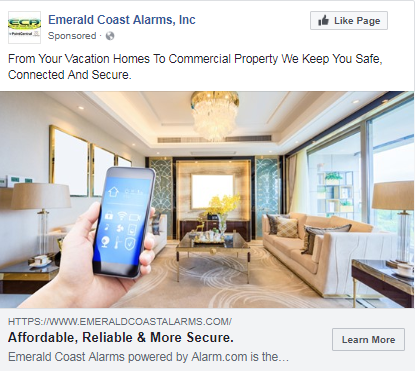 The ad clicks through to their website, where people can learn about security products for their home. STA are a big part of how this marketing campaign is gaining traction. 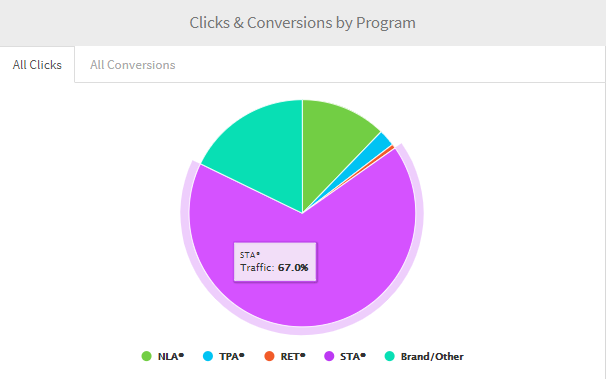 In the last 90 days, STA are driving 67% of clicks. The conversion data requires some qualifications, however. 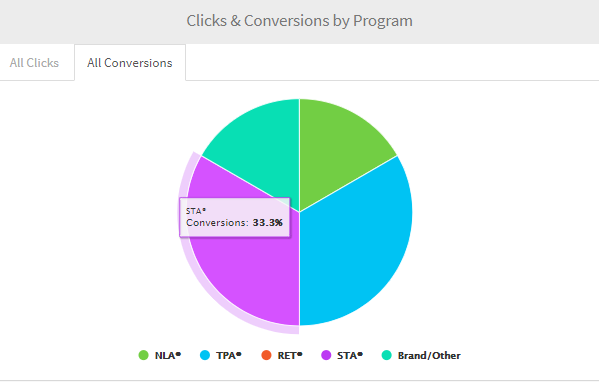 While a third of traffic is directly attributed to STA, it’s indirectly driving more conversions through brand awareness. A look at their keyword data shows their top converting search keywords on both paid and organic are brand name searches. In other words, most of the people converting by search learned about their brand by local referral or STA, then searched for them by name. One reason for this is that this campaign is still inside its first 6 months, so they haven’t gained traction with search channels, particularly organic. This website has strong informational content, including articles and videos that explain the benefits and features of these security systems. When the right people consume this content, the results are great. Their TPA paid ads, driven mainly by searches for their brand name, convert at 31.11%. This is the way to start strong with a product that needs to find and inform its audience.